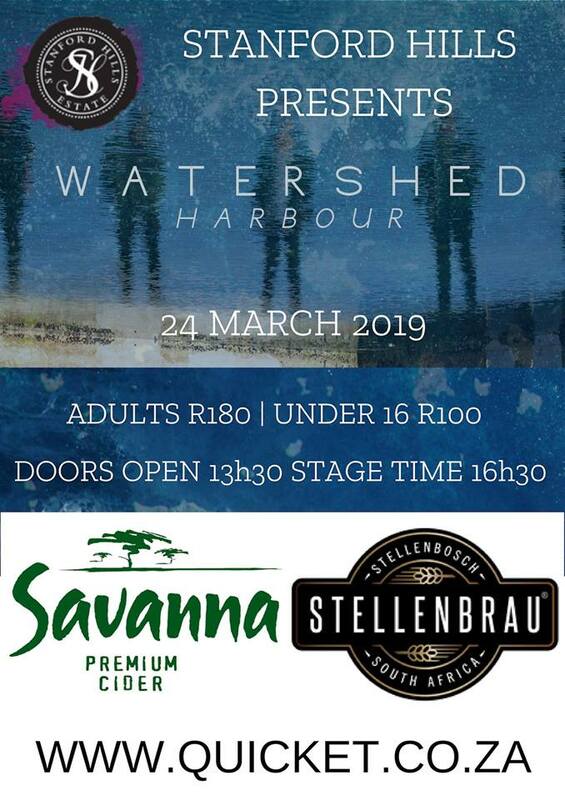 Watershed will be performing live at the beautiful Stanford Hills on Sunday 24 March 2019 - make sure you don't miss out if you are in the area! Gates will open at 13:30 and Watershed will be on stage at 16:30. Come and have a picnic with us! Food and drinks will be plenty!